Software vulnerabilities continue to be the targets of choice for attackers. Given this fact, application security defects have become one of the top information security issues facing organizations today. 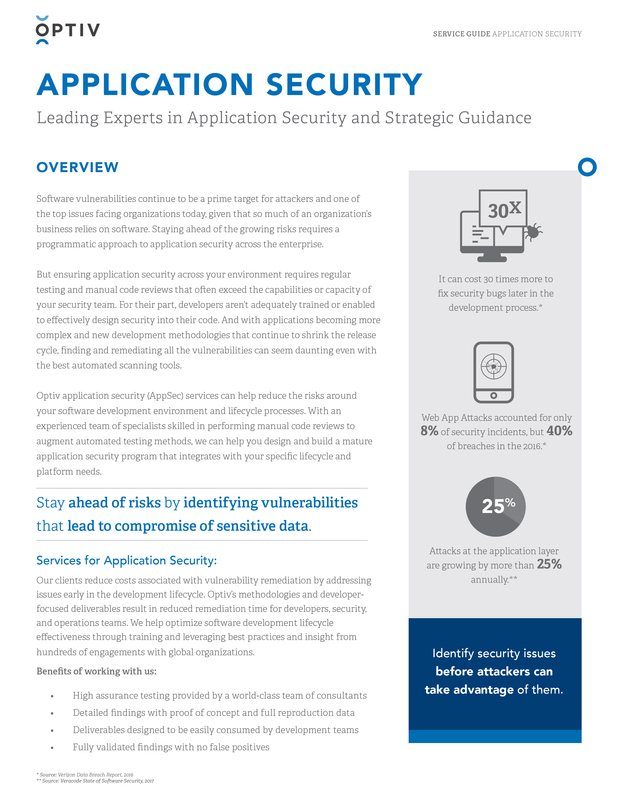 To stay ahead of the risks associated with the application layer, you must manage and maintain the security of every application deployed. Learn how Optiv can help protect your most critical enterprise applications from both internal and external threats.